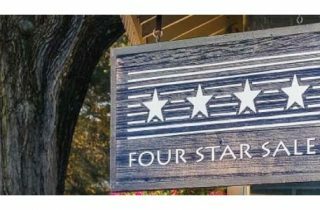 Four Star Sales / Category Archive for"Four Star Sales Graduates"
Four Star Graduate won the seven-furlong sprint at Gulfstream by five lengths. 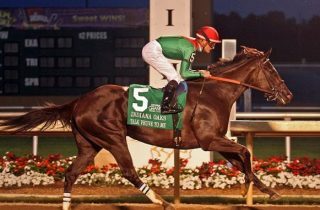 Talk Veuve to Me (Violence) left little to doubt as her connections will pop the champagne upon her dominating graduation and being named the newest ‘TDN Rising Star’ at Fair Grounds Sunday. 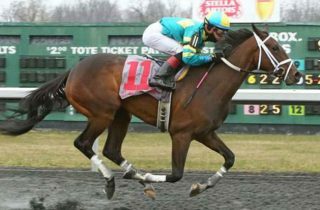 Go Noni Go, trying synthetics for the first time in her career, earned her first stakes win in Saturday’s GIII Bourbonette S. at Turfway Park. 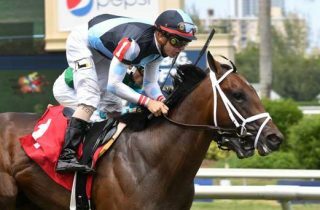 The dark bay filly angled in from her outside post and settled at the back of the field early. 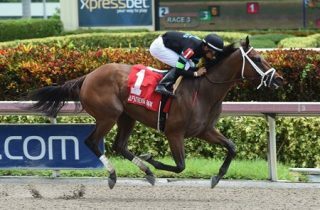 She began picking off rivals down the backstretch and charged into contention nearing the stretch, surging past In the Mood with a furlong to run en route to a confident tally. 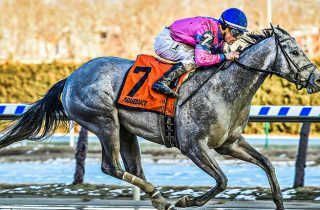 Fresh off a victory in her stakes debut, Startwithsilver will go for her second in a row and fourth consecutive overall victory in headlining a field of 10 older fillies and mares in the 78th running of the $100,000 Correction on Saturday at Aqueduct Racetrack. 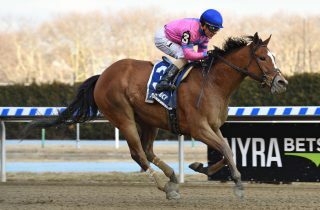 Holiday Disguise, off since annexing the Bouwerie S. at Belmont back in May, picked up right where she left off with a comfortable score covering the longest distance she’d been asked to go. 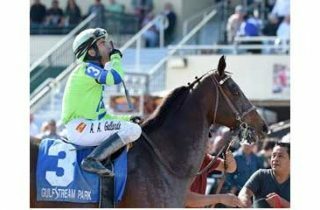 Four Star Fasig-Tipton July grad, Earth, becomes Orb’s first winner today Gulfstream Park! 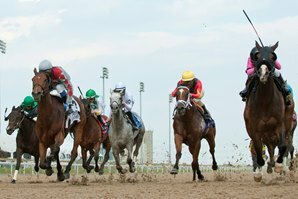 Four Star Keeneland sales grad CODE WARRIOR gets her first graded win in the G3 Hendrie Stakes at Woodbine! 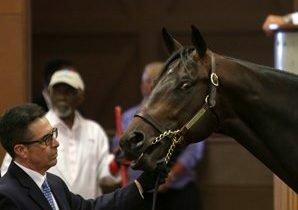 The Orb colt out of Extra Sharp was a $170k Four Star Sales October Yearling Graduate.